On Easter Sunday we didn’t have any plans, so I thought I would stick to my Sunday tradition and bake up something good. 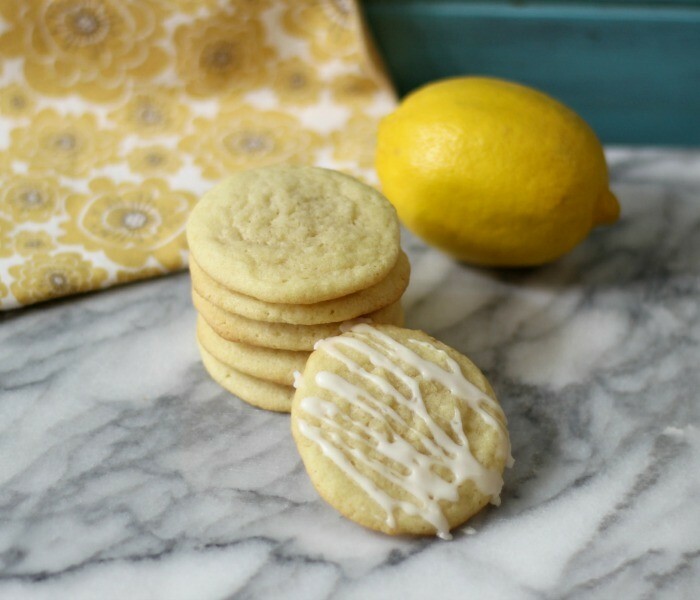 I normally stick to peanut butter or chocolate chip cookies, but I thought I would change it up and make a light, spring cookie that really blew my mind and that is Lemon Sugar Cookies with Lemon Glaze. 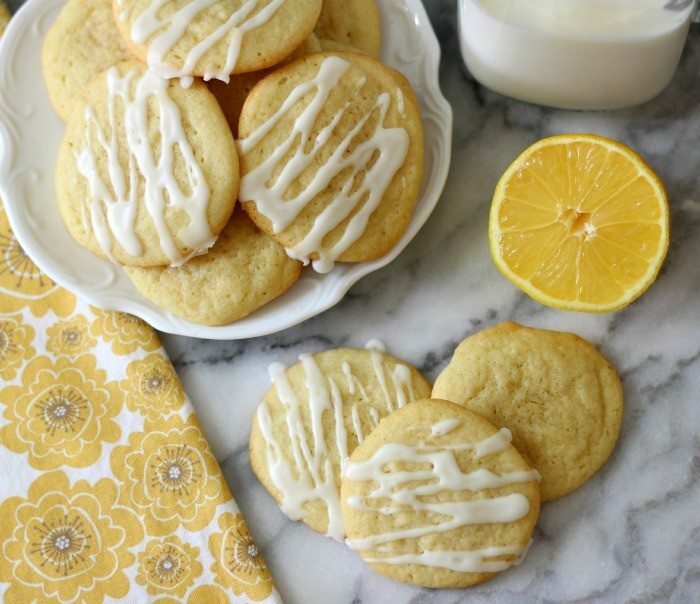 Oh my gosh, these are the best lemon cookies ever. I am so proud of myself and I couldn’t wait to share them with you today. 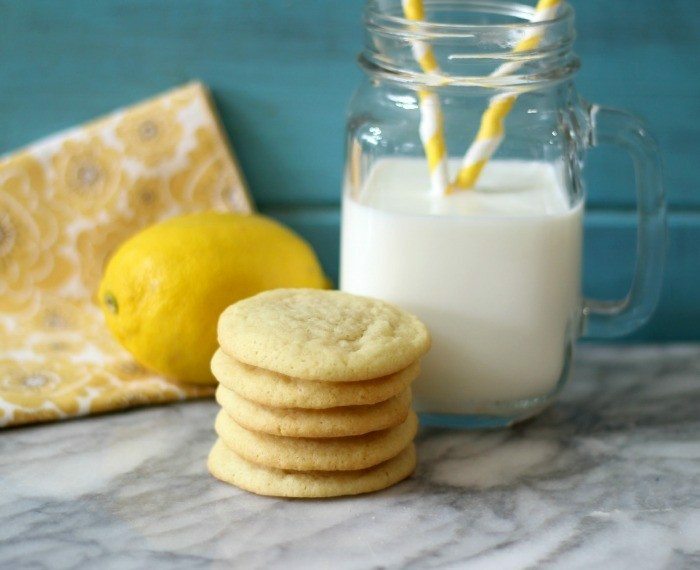 These cookies are soft, sweet, buttery and have the perfect amount of lemon. I guarantee they will be a sure hit with lemon lovers. I used fresh lemon juice in the recipe and that is so much nicer than using bottled lemon juice. Something about fresh lemons that really give it true lemon flavor. I made some cookies plain, which go nice with a tea and I also made some lemon glaze to go over them. 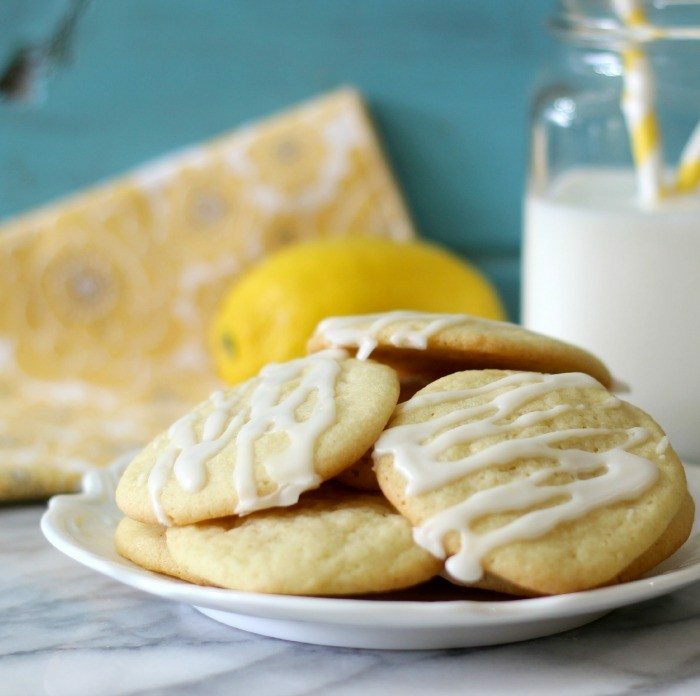 The glaze is so good and gives the cookies that extra pop of lemon flavor that I love. For the glaze I just used powdered sugar, fresh lemon juice and lemon zest. Mix it together and with the tines of a fork, drizzle over the cookies. Easy peasy! For the dough, I used the basic butter cookie ingredients with the addition of lemon juice and lemon extract. If you don’t glaze the cookies you get a nice light lemon flavor. What I like about this recipe is that I didn’t have to chill the batter, only between batches. When I am making cookies, I want to make them now and not have to wait. I really have no patience. When making the cookies, be warned that they do spread out quite a bit because of the butter. I only added 9 small scoops of cookie dough to my baking sheet. They really spread out nice and thin. For scooping out the dough I used a small cookie scoop. 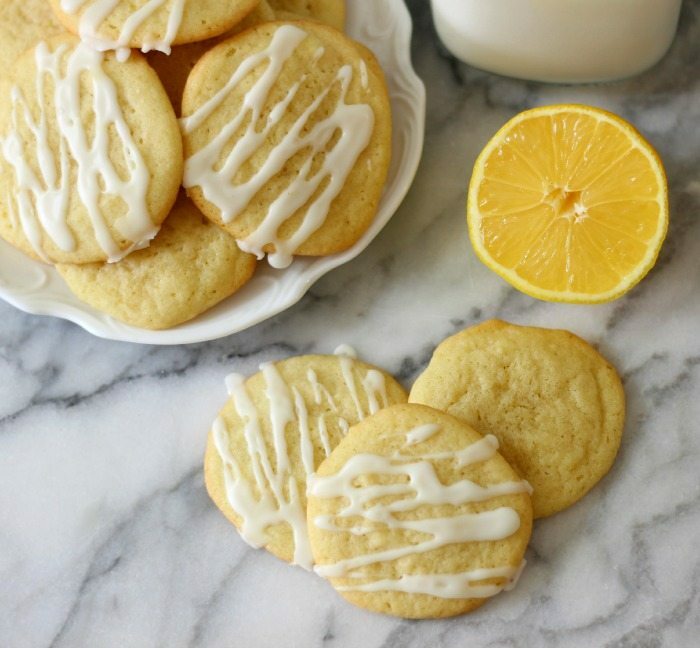 A light, buttery thin, lemon flavored cookie that is drizzled with a lemon glaze. Line two baking sheets with parchment paper, set aside. In a large bowl cream together butter and sugar, scraping down the sides of the bowl when needed. Add egg,lemon and vanilla extract; beat until combined. Add lemon juice, salt, soda, and baking powder; mix until combined. Drop spoonfuls onto a baking sheet about 2" apart and bake for 8-10 minutes, until bottom is lightly browned. refrigerate the dough between batches. Let cookies cool on pan for 2 minutes, add to baking rack to cool completely. To make frosting, in a bowl, add powdered sugar, lemon juice and lemon zest. Mix until combined. 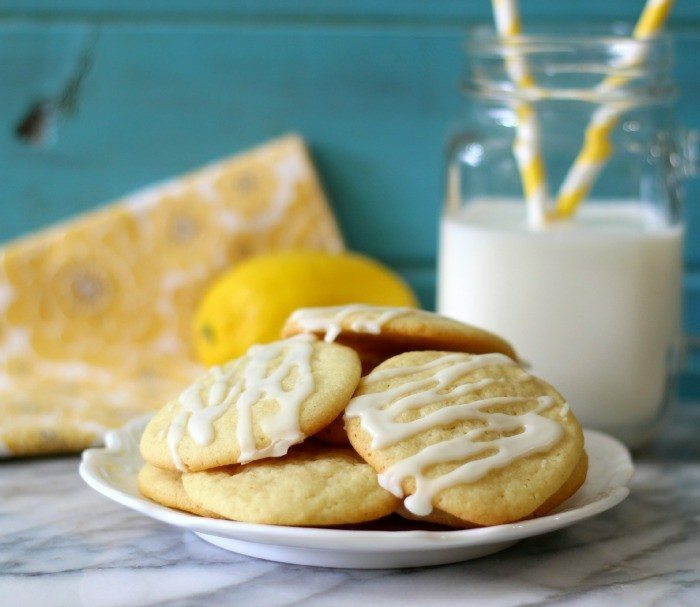 If you like thicker add more powdered sugar, if you like it more thin, add more lemon juice. 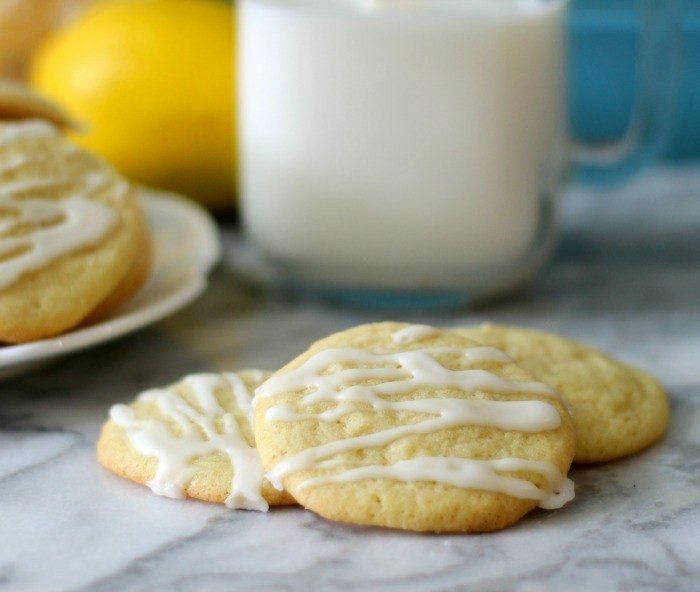 Drizzle glaze over cookies. I used the tines of a fork. I do hope you enjoy these cookies as much as we do. I am so proud of them. I think they we would be wonderful to serve at brunch or to give on Mother’s Day next month.